The current Footscray-Yarraville City Band has been drawn together from a number of musical associations over more than a century. Mass European migration to Australia occurred in the 19th century and saw a musical tradition flourish within the young colony. The western suburbs of Melbourne – Footscray, Kingsville and Yarraville are clear examples. Immigrants brought their own musical traditions with them into the area, and in 1883 the Belgravia Brass Band was formed, later to become the Footscray Temperance Brass Band. The suburb of Yarraville founded its own band in 1888, and is the first vital link to the present Footscray-Yarraville City Band. Another band, the Yarraville Amateur Brass Band, also existed during this period. Both bands drew funding from the local community until around 1895 when the depression caused them to close. By 1902 economic conditions within Footscray began improving and community pressure revived banding in the area, resulting in the formation of the Footscray Municipal Band which later became the Footscray Municipal Military Band. Other bands also in the area were the Yarraville Citizens Brass Band (1910) and the Kingsville Brass Band (1914). By 1921 the YCBB and the KBB amalgamated to form Kingsville-Yarraville Citizens Band. In 1961 the Footscray City Band and the Kingsville-Yarraville Citizens Band began a new era by merging to form the present Footscray-Yarraville City Band. As well as entertaining audiences within Australia, FYCB has also had exposure to overseas audiences during its international ventures. The band’s modern successes began with it being the first band to win three consecutive Australian Championships and to date the only band to win every musical section within such an achievement. This feat resulted in the band being invited to compete at the Canadian National Exhibition Band Contest in 1975 where it scooped the pool by taking out all possible musical awards and trophies in its class. The three-week concert tour which preceded the contest commenced in Vancouver, headed east with concerts along the way, and climaxed in Toronto. 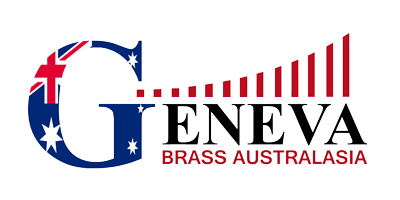 This contest win introduced the world brass banding scene to the musical prowess of the Australian Band movement, thus laying the path for other bands to travel. Parallel with these achievements the band was extending its audience to the public by being the pioneer for big production brass band concerts in Melbourne’s premier concert halls. These productions, which featured renowned show business and television artists, saw FYCB being the only brass band to completely sell out Dallas Brooks Hall and the Melbourne Concert Hall, a feat repeated on several occasions. During the 1978 Round World Tour, FYCB performed in the magnificent Cultural Centre of the Philippines; throughout Switzerland – including a guest appearance as the Premier band at the Fetes De Geneve; and performed again in Toronto at the Canadian National Exhibition. The band’s 1984 European Tour included a stopover in Singapore, a further concert tour of Switzerland, a visit to Foots Cray in Kent as part of our own City’s 125th Anniversary Celebrations, and then participation at the famous Edinburgh Festival. In searching for new concert initiatives, FYCB pioneered the highly successful cabaret-style concert format at some of Melbourne’s top cabaret venues. Whilst these concert presentations were continuing, the bands annual ball was the “talk of the ballroom dancing set” with continual capacity audiences. The band was involved in the opening of the Pacific Star Hotel, Guam, at the invitation of the President of the Republic of Nauru. It has also performed aboard the luxury liners Vistafjord, Sagafjord, and the magnificent QE2. FYCB has long been in constant demand for major concert presentations and corporate and community functions. It has also provided backing music and soundtracks to feature movies and television mini series including ‘Dimboola’, ‘Street Hero’ and the outstanding TV mini-series ‘The Dunera Boys’. FYCB continues to maintain regular A Grade contesting appearances at both State and National level. The successes of the band have been captured in various recordings. The souvenir of the Canadian Tour, ‘Victors Return’ was awarded Gold Record status. The next recording, ‘Songs of Faith, Hope and Glory’ was a special edition TV release which also achieved Gold Record status in 1977. The third commercial record album, ‘Round the World Tour’ was successfully released in 1979. ‘Trumpets Wild’ released in 1989, saw the band venture into the digital recording idiom. 1997 saw our CD ‘Celebration’ released, which commemorates a generation of the successes of FYCB over more than 40 years. FYCB still has many copies of it’s past records. Please contact us if you would like to order a copy.